Last month, the Science Fiction and Fantasy Poetry Association announced the winners of the 2017 Elgin Awards for best collections of speculative poetry from the previous year. For those new to the term, speculative poetry has become a relatively common catch-all for poetry that embraces the imagination, including fantasy, science fiction, horror, and other similar genres. Some might be surprised at the excitement for these types of poetry, but the current US Poet Laureate, Tracy K. Smith, won a Pulitzer Prize for her 2011 sci-fi collection Life on Mars (published by Minneapolis’s Graywolf Press). This year’s Elgin Awards featured 21 nominees in the chapbook category and 31 nominees in the full-length category, the largest year since the awards were first established in 2013. Forty-four publishers in total were represented. 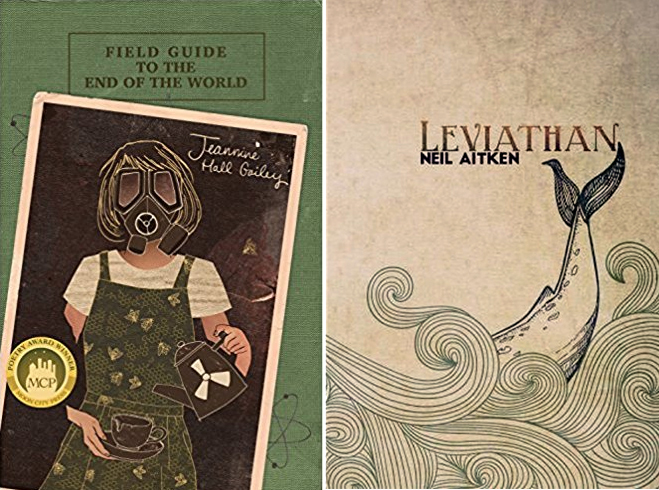 The first-place winners for this year were Jeannine Hall Gailey’s Field Guide to the End of the World in the full-length category and Neil Aitken’s Leviathan in the chapbook category. Among the winners with roots in the Twin Cities was Minneapolis-born Vietnamese American poet Jenna Le, who tied for second place for her full-length collection A History of the Cetacean American Diaspora. past 15 years in the publishing industry. His work can be found in numerous anthologies as well as in Star*Line, Scifaikuest, Mithila Review, Fantasy Scroll magazine, and more. His essay “Poems and Songs of The Hobbit” was recently featured in Critical Insights: The Hobbit (Salem Press, 2016). He served as editor for issue 20 of Eye to the Telescope, the official online journal of the Science Fiction and Fantasy Poetry Association, of which he is a member. With over 300 members internationally from 19 nations, the SFPA is about to celebrate 40 years. This year’s Elgin Award nominees were remarkably diverse, including figures such as Muriel Leung, Christina Sng, Susan Gray, Angela Yuriko Smith, Lauren Andrei, Meghan Privitello, Do Nguyen Mai, Sophia Terazawa, Saba Razvi, and Khaty Xiong. Xiong’s Poor Anima marked the first collection by a Hmong writer to be nominated for the award, significant because the Hmong did not have a written tradition until the mid-20th century. Several nominees were first-time authors, while others were very experienced, including two Grand Masters of speculative poetry, Marge Simon and Bruce Boston. This year’s nominees also gave readers the chance to see a variety of styles in action, ranging from haiku to more formal techniques, and several different literary poetry traditions, including Islamic, Christian, Animist, and Jewish perspectives, just to name a few.